Today on my blog, I will be sharing with you top 7 safety tips on how you can use your Automated Teller Machine (ATM) card for online and offline transactions. Follow me as I lead you. 1. Keep your PIN Secret: DO NOT write your Personal Identification Number (PIN) on paper or give it out to anyone, including friends and family, and do not reveal it to anyone over the phone. Avoid using numbers that are easily identified (birth date, phone number, etc.) with your personal identity. Report lost or stolen cards immediately to your bank. 2. Review your card account frequently: If you notice any irregularities e.g. charges on items you didn’t order, cash withdrawals you didn’t make, etc. Put a call to your bank immediately to report this. 3. Always check your email for transaction updates: The email notification service is free and compulsory for the safety of your account. To enroll for this service visit your bank branch near you. 4. 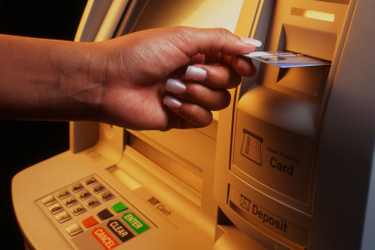 Hotlist immediately: If your card is retracted at an ATM, be sure to hotlist your card while you are still at the ATM. To hotlist your card, kindly send ‘HOTLIST<NUBAN>’ to 08076665555 for Gtbank. 5. Keep your eye on your card: Ensure your card is in your clear view whenever an attendant at a shop wants to swipe your card. DO NOT allow the attendant take your card into an inner room or enter your PIN on your behalf. 6. Free Trials are not ‘free’. If you initiate a trial subscription with a merchant, make sure you go back to the website to cancel your account before your free trial expires. Otherwise, you will be charged by them in subsequent months. 7. Carefully Read the Terms and Conditions when making reservations as some reservations are non-refundable. Make sure you cancel your reservation on or before the due date to prevent no-show charges if you do not show up. If you follow this tips very well, you won't have issues using your ATM card and the complains to the banks will stop. I remember how some people do say, I will never use the ATM because banks do deduct one's money through it. In my subsequent post, I will write the customer care lines of all the banks in Nigeria so that you can call your bank once you have an issue. I hope you learned from my post, please share it with your friends, family and colleagues at work. And remember to subscribe to my blog to receive my updates straight in your inbox once I post. Thanks and have a great weekend ahead. I love to hear from you, your comments strengthen me to write more, give me more of them so that I can write more. 1688.com is a China e-commerce website where buyers buy products at a very cheap and affordable price, It is coded in Chinese language. As it is coded in Chinese language, you don't have to be told that this website is mainly for Chinese citizens and those that understand the language, so its hard for non Chinese speaking persons to shop on this website. I usually open this site but won't know what to do until I got my hands on Adesanya Sunday Abiodun 4in1 videos which can be seen on Konga here, I learnt how to use this website on my PC using Google Chrome browser and Google translator but I can't afford to be on PC all day so I find a way to open this site on my smart phone which I will show you here. ====>First of all, you need the latest version of UC Browser which can be installed from Google Playstore here. ====>Second, launch the UC Browser and navigate to Add Ons, install the Translator Add On and you're good to go. I know how it feels to be frustrated at the bank, I won't want you to go through what I experienced at GTBank today. I arrived GTBank today to send money for a friend so I misplaced the account number, I called GTBank customer care so that I can get the account number but i was turned down. 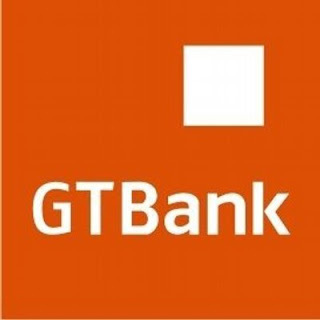 I had to search the Internet before I came about this method, So today I will be sharing with you a simple way to check your GTBank account number on your mobile phone in case you forget or misplace it. Follow the steps below to get your Account number instantly on your mobile phone. 1. Go to Compose New Text Message on your mobile phone. NOTE: Normal SMS rates apply and does not need internet connectivity. That's all, if you do it correctly then expect your GTbank account number in some few minutes. United Bank for Africa also known as UBA has made it easy for its customers to transfer money without token, send money, purchase recharge cards, stop a cheque, request a new cheque book, pay bills and do other banking transactions on their mobile phones so far its an internet enabled device. This process is called Mobile Banking, according to Wikipedia, Mobile banking is a term used to refer to systems that allow customers of a financial institution to conduct a number of financial transactions through a mobile device such as a mobile phone or tablet. UBA here by named its mobile banking platform, U-Mobile. For you to transfer funds and do all the banking transactions I have mentioned above, walk into any UBA branch and sign up for U-Mobile and wait for them to send the info to your email. So How Can I Use U-Mobile App To Send Money And Recharge My Phone? Recently, I had an issue with a female blogger which I will not reveal her name, she took one of my images, removed the watermark and posted it on her blog, In other to prevent such to happen again, I learnt the best way to watermark photos and stop people from stealing them. Other bloggers and website owners keeps taking your photos without properly crediting you and you feel bad about it? 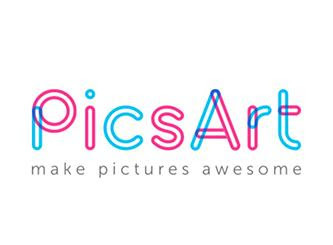 Worry, no more as today, I will be sharing with you a simple way to watermark your photos. Ever since, I started using this method to watermark my photos, other bloggers do copy me without crediting me but I don't bother again as my blog name is written clearly on the photos and someone don't need to tell you before you know that the photos were lifted from my blog. By adding the Automatic Read More Hack or Automatic Read More Script to your blogger blog will make the home page of your blog look more professional and organised. This trick am about teaching you will show the title of the post, a short summary of the post and a thumbnail (photo), the photo will be the first photo uploaded in the post. Then, there will be a Read more or Continue Reading link which when clicked will take you to the entire post. =====> Login to your Blogger Dashboard, go to Template, Back Up your Template and click on Edit HTML. <data:post.body/> After hitting the Enter key and you will find this code more than one, please stop at the third one. © 2017 Jacob Akpene. All Rights Reserved.